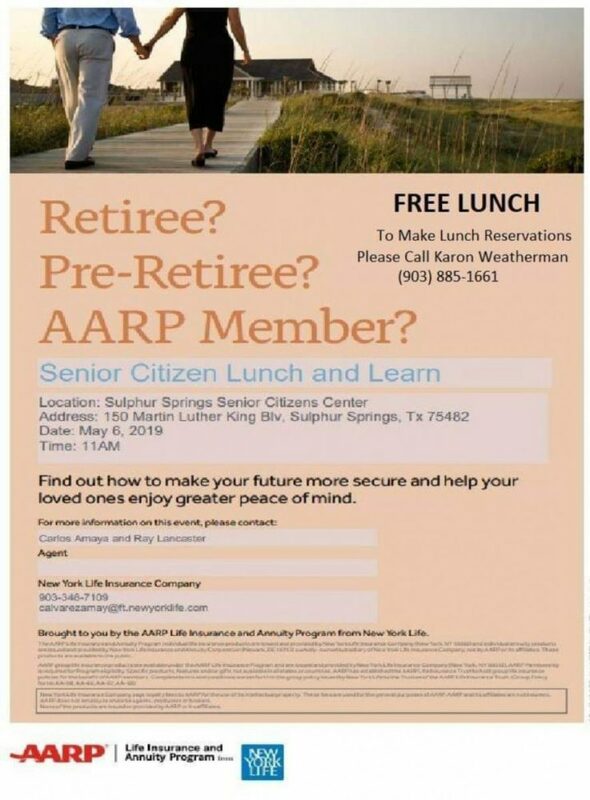 Senior Citizens Center Program and Marketing Director Karon Weatherman announced a Senior Citizens Lunch and Learn seminar will be offered through the AARP Life Insurance and Annuity Program from New York Life at 11 a.m. May 6 at the center. “They will help you make sure that your future is secure and help your loved ones have a great peace of mind,” said Weatherman. AARP will provide a free lunch for attendees, but those attending must call 903-885-1661 by Wednesday, May 1, to reserve a lunch.